Polarr includes over 100 high-quality filters for you to use. These filters can be used as a starting point for your edits or as-is if you like the look once applied. But you can also create your own custom filters with just a few taps. Here's how you can do that. So any of the above changes you make to a photo can be saved as a filter. You can then apply that filter to other photos to easily and quickly have all those same changes take effect. Create a filter that defines your unique photography style and all your photos can have a similar look that's truly yours. Now that you've made the edits to your photo you can create a custom filter. Go to the filter panel and you'll see the option to "Create Filter". Select that option and now you'll be presented with a pop-up that allows to you save your edits. 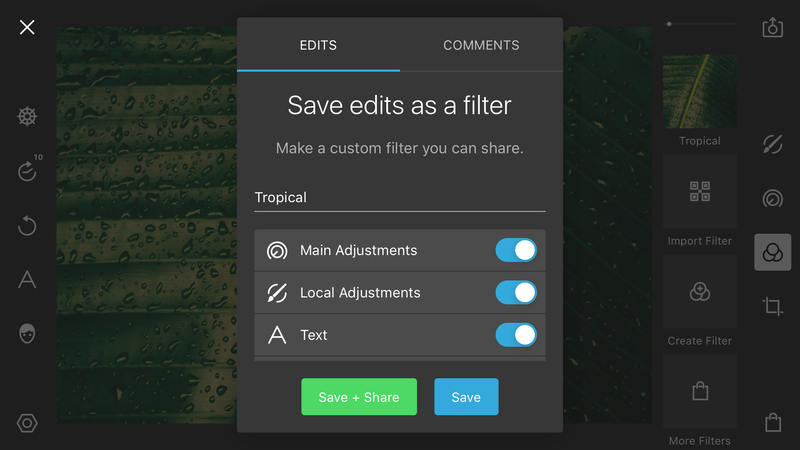 You can name your custom filter, select which adjusts you want to keep, and even add comments to give other users insight into your editing process. 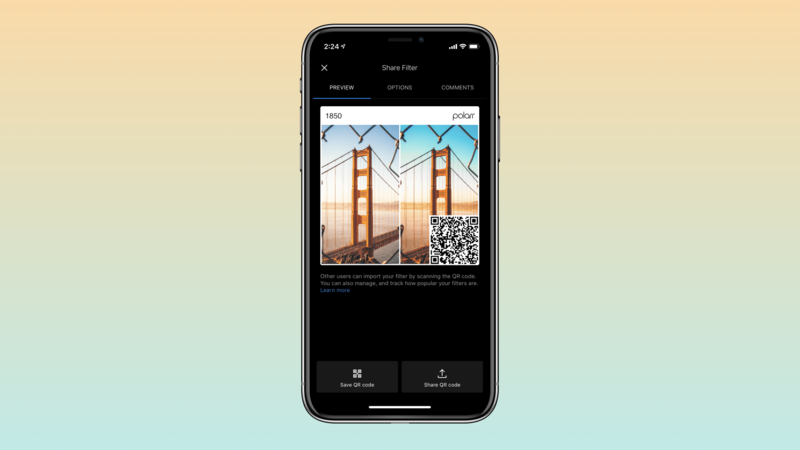 "Save + Share" Use this if you want to save your photo and quickly generate a QR code to share the custom filter with other Polarr users. It doesn't really matter which option you select. You can always share any custom filter at any point, even if you didn't initially opt to "share" it. Long-press (or right-click) any filter to bring up a dialogue to share filters. The above steps are how you can easily create custom filters. But for you visual learners the video below quickly summarizes everything and gives a nice walkthrough on creating your own custom filters in Polarr Photo Editor.